We have the best neighbors. 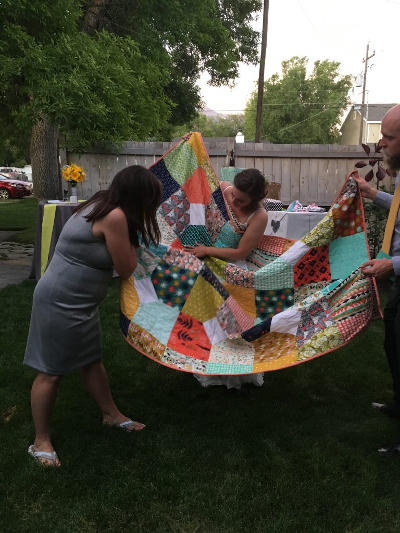 One of them celebrated the wedding of their youngest daughter in June, and I had to make Lindsey a quilt. 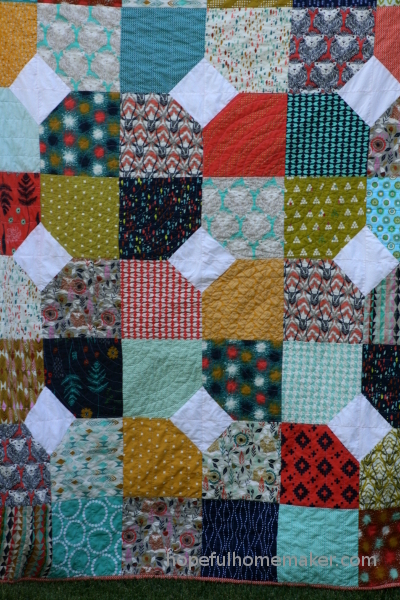 I made quilts for her older two sisters when they got married (you can find them here and here). Lindsey loves animals and works at the zoo, and I happened to have a layer cake of Sarah Watts’ August fabric collection, featuring lions and gazelles. 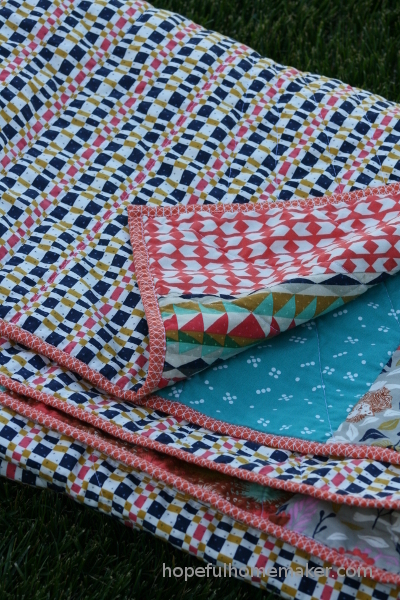 It was the perfect fabric, so I needed to make a layer cake quilt. I chose a simple layout due to time constraints and went through my stash to gather a few more prints so I could make it bigger. 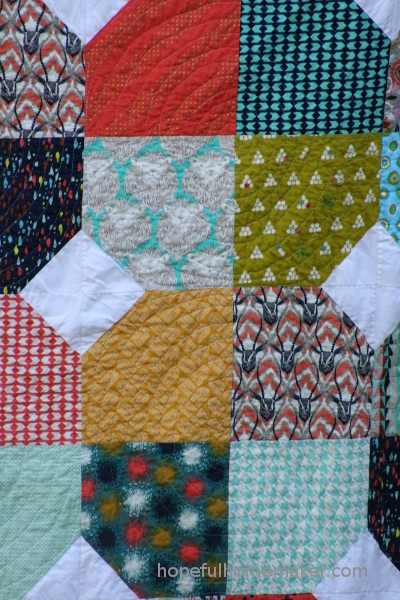 In the end I settled on a patchwork style layout using the layer cake squares and added a triangle in one corner to create the white accents. I cut a few of my 10 inch squares in half for the side borders and got to work! I used a combination of spiral and straight line quilting to quilt it. 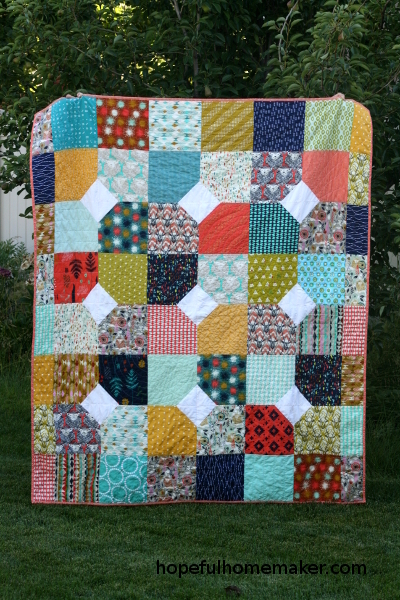 This was a really fun layer cake quilt project, and I was able to finish it in time for the wedding (barely!). 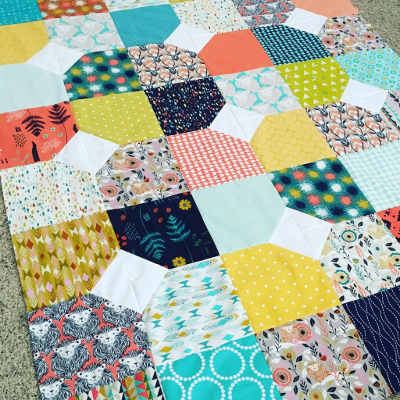 I am filing this layout away as a good option for quick layer cake quilts – sometimes you need to finish projects on a tight schedule and I would certainly make this again. Something I love about these friends is knowing the quilt will really be used. It also made me smile to have my children give it to them and to watch them open it up. We backed it in a lovely plaid and finished it with an orange binding. 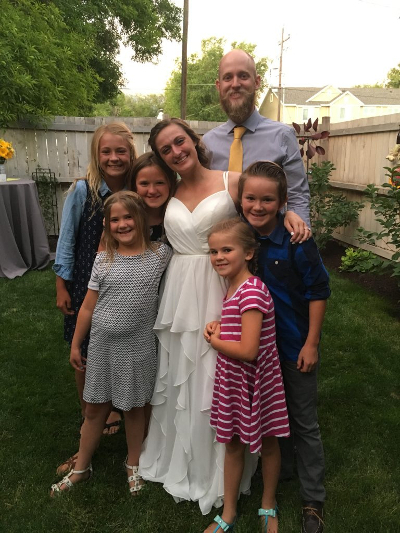 We are happy for Lindsey and Alex and I’m sure many wonderful things are ahead for them!